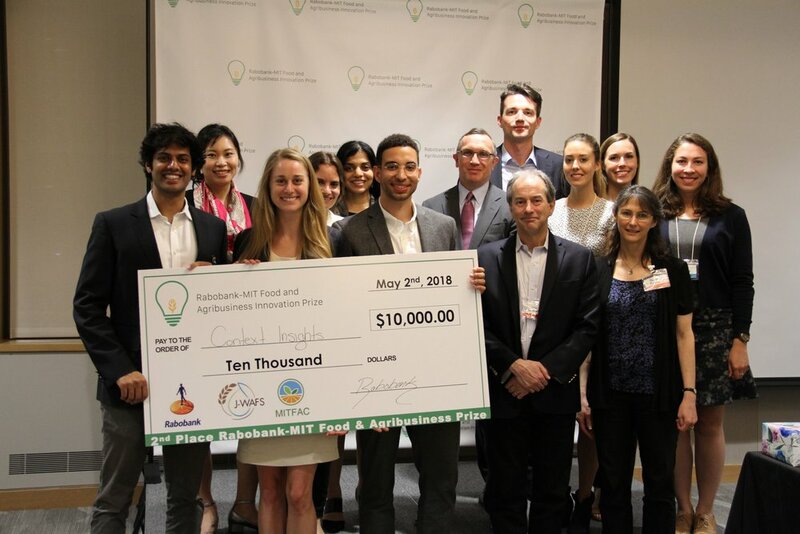 The Rabobank-MIT Food and Agribusiness Innovation Prize is delighted to announce the winners of the 2018 competition. 2nd place ($10,000): Context Insights forecasts commodity prices by crowdsourcing price predictions through text message in sub-Saharan Africa. The Rabobank-MIT Food and Agribusiness Innovation Prize is delighted to announce the winners of the 2017 competition. 1st place ($12,000): Cambridge Crops produces an edible and natural biomaterial coating that dramatically extends the shelf life of perishable food. The Rabobank-MIT Food and Agribusiness Innovation Prize is delighted to announce the winners of the 2016 competition.